WHAT ARE THE RHYS METHOD® 12 CHAKRAS GATEWAYS TO YOUR LIFE PURPOSE? 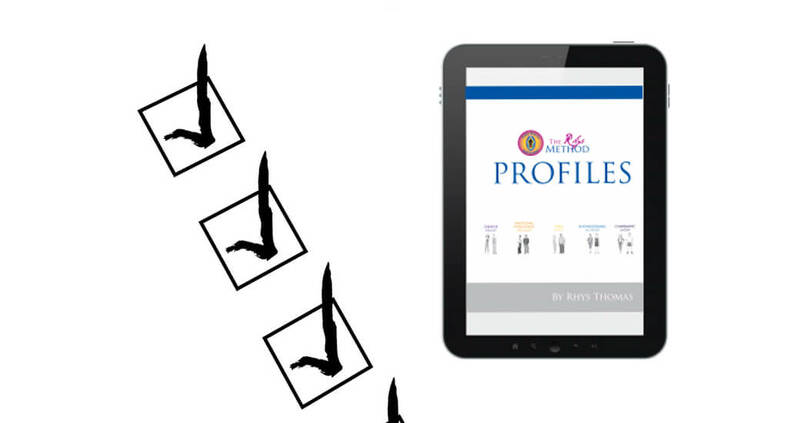 Once you are able to have some clarity about your Primary Rhys Method® Life Purpose Profile you need to understand the mechanism for how to live it in every aspect of your life. The Rhys Method® 12 Chakra Gateways are energy channels that you have to attract your life purpose to you and express it physically, emotionally, in your actions, in your relationships, in how you communicate, in how you think and how you connect to a higher source. Your chakras are specific levels of your awareness tuned only to calling you to, and living your unique life purpose. If you have chosen your correct profile, your life and your chakras will serve you perfectly. If you have decided to be who you are supposed to be or have vowed not to be all of who you are is when you shut down your chakras and you will get pain and illness in the area of your life that you rejected. An example is if you reject your feelings (second chakra) you may over time have intestinal issues or headaches. To live a totally healthy life you must embrace the chakras you have. To do that you have to spend some time getting to know not only what they are but how the speak to you and guide you. The Rhys Method® Chakras will show you how to live your individual potential–physically, emotionally, socially, mentally and spiritually. Learning to harness and combine all your core qualities and levels of self-awareness allow you to be “congruent” in your thoughts and actions with your deeper spiritual mission. To live your life purpose, you must be congruent body, mind and soul. Your life purpose profile gives you the first step by mentally remembering who you have always been. The Rhys Method® Chakras represent the first tool in directly feelings all the qualities of awareness that need to come into balance if you are to embody and live your life purpose. HOW DO THE RHYS METHOD® CHAKRAS WORK? The Rhys Method® Chakras teach you how to become aware of your full potential as a human being. Every conscious person with a human body has twelve levels of consciousness and their only job is to feel and express your life purpose in every moment. These twelve levels of consciousness include your body and its health, your emotional states, your ability to trust others, your willingness to speak your needs, your ability to remember and process information, your deeper spirituality and soul connection to others and your highest calling as an individual in the world. In the Rhys Method® Chakras, you will see that no part of you can be dormant if you want to live your life purpose. It takes an incredible amount of your energy to keep your natural talents held back or in the dormant or blocked state. Awakening to all twelve levels of your being is to awaken to your full potential and life purpose. Each chakra is an energy center that feeds you direct information as to how to live your life purpose in every moment. As you will learn in the information that follows, each of the twelve levels play an essential role in awakening you to your life purpose. You will learn how to recognize or “see” them in this section. Then in the Rhys Method® Crystal Bowls section, you will begin to awaken your ability to feel the chakras and bring them fully into your life. The twelve levels of life purpose consciousness are comprised of the seven traditional levels of energy in your body typically called “chakras” and are the awareness and consciousness centers of your body that you use in your daily life. The other five levels are spiritual consciousness centers of awareness that give you your deeper meaning and the ability to live life purposefully and with integrity. Experiencing any one of the twelve levels fully, or in an unfiltered way, creates a state of inner peace and joyful awareness of your life purpose at that level. The goal of the Rhys Method® Chakras is to begin the much more powerful healing path of integrating all the centers, because each one has a very unique way of awakening your life purpose that the others cannot do, no matter how specialized you are in them. By coming into balance with all of them, you give yourself the raw power and conscious awareness to live a truly uncommon and vibrant life until the end of your days. This information is an introduction to what we call the “PhD in Chakras” that we teach at the Rhys Thomas Institute. If you have studied the chakras before, you will notice that The Rhys Method® Chakras have a similar core but are more specific and integrated with how they directly impact your life daily. The Rhys Method® is a unified life-changing system, not simply a system of intellectual or meditative learning, though those are a part the method. The chakra information is not just intellectual speculation; it comes from thousands of hours using the Rhys Method® Crystal Bowls in workshops as well as working with students and clients at the Institute and through private sessions. Strangely even though everyone has chakras no two are exactly the same, and they only becomes real to you when your own unique experience of the chakras awakens within you. Knowing how to recognize them as they actually appear in your life is the beginning of the process. Once you can see the seven chakras and five spiritual levels flowing through and around you, you will be ready to go deeper into experiencing them through the Rhys Method® Crystal Bowls. The Rhys Method® online store tab, will allow you to download crystal bowl music specifically designed to help you find and feel your chakras and learn how to let those feelings be your guide in discovering your life purpose.